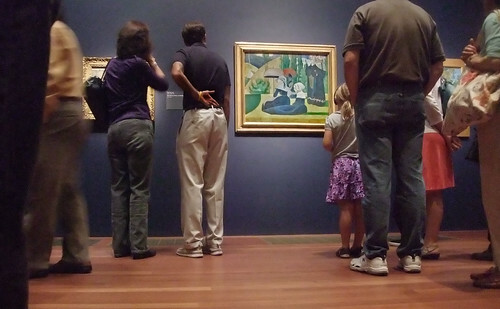 We don't just tell our students to go see art, we do it ourselves. 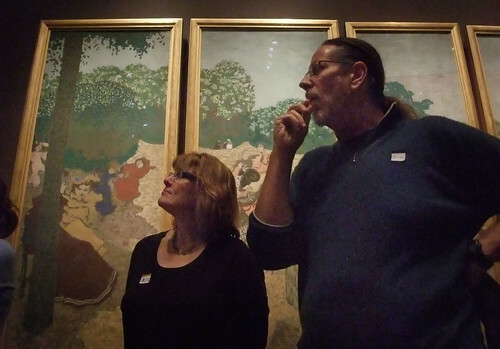 Despite huge backups on the Bay Bridge, Ken Alexander, Lucy Snow and Curtis Corlew managed to drag their significant others and a colleague from Marin to the deYoung Museum to see the Post Impressionist show. It was a beautiful day in the city, which explains the lack of parking and the 37,000 people attending the exhibit with us. Even though there was no air to breath, and we spent a lot of time looking at the backs of people, the show itself was simply amazing. If you can get there at all, do it.